Do you know that Singapore is the fastest moving city in the world? This is according to a study conducted by Prof Richard Wiseman, a British psychologist, which measures the pace of life. Life in this tidy red dot can be quite stressful. While the green surroundings can provide some relief after work and over the weekend, sometimes we just need to take a break and get away from this stress city. Well, Sydney wasn’t my choice a relaxing holiday; it was simply a gateway to access the vast land of Australia, the oldest continent in the world . 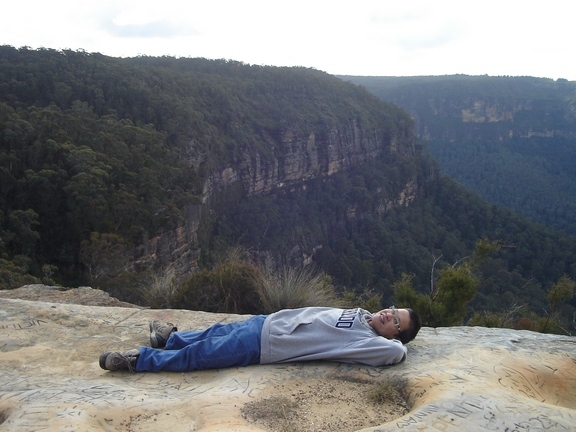 My destination was Blue Mountains, the mountainous range approximately 50km away from Sydney. 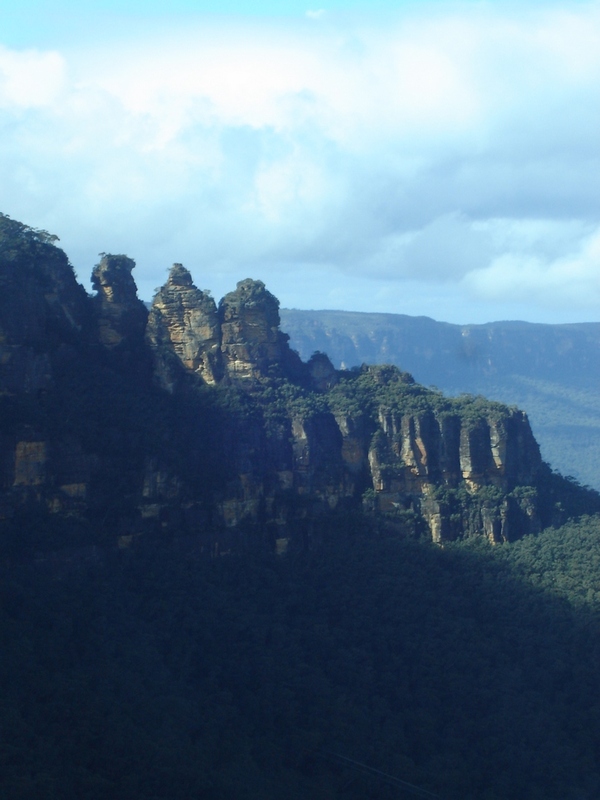 A UNESCO World Heritage area with 10,000 sq kilometers, the Blue Mountains region is a nature reserve that is 14 times the size of Singapore Island. It is a place surrounded with nature where fresh air, sunshine, and wildlife are in abundance. Self-drive is the best way to explore the hinterland of the Down Under. From the airport, we rented a car to drive up to the Blue Mountains. It was a pleasant drive. The highways and roads were very well maintained and the signs were clear. With a GPS, we had no trouble to get around at all. 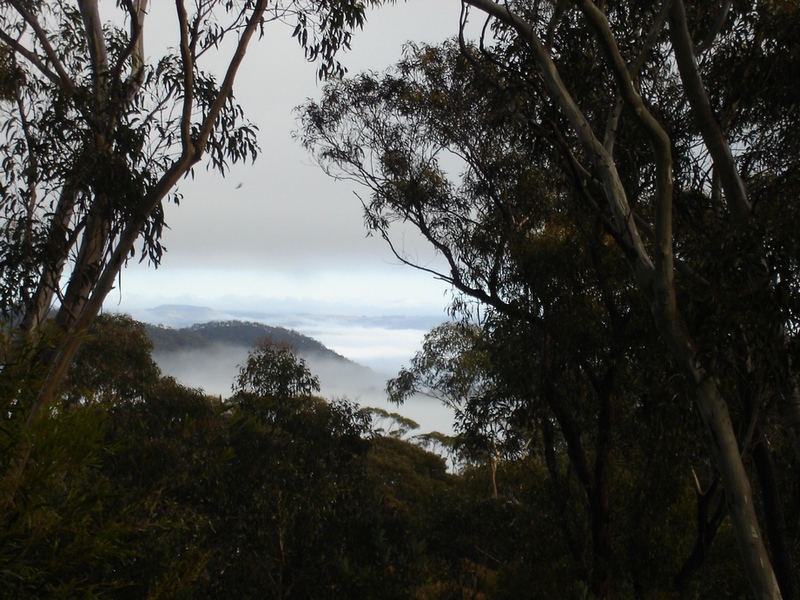 The main road to access to the Blue Mountain region is called the Great Western Highway. Along this highway, we passed through many townships, including the main tourist town of Leura and Katoomba, before reaching the quaint Heritage Village of Mount Victoria, the highest point of the region. 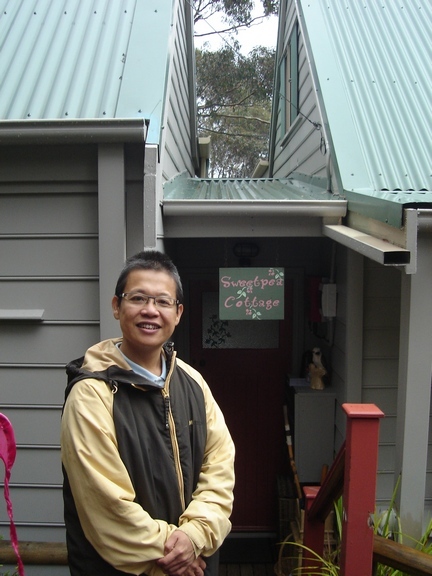 We checked into our accommodation: Sweetpea Cottage Blue Mountains . A small, quiet and cozy place far away from the main road with a nice view of the nature reserves from its large outdoor deck. Lovely! Mountain High Pies, Wentworth Falls  – claimed to serve the best pies in the Blue Mountains region. We liked the ranges of vegan pies available. 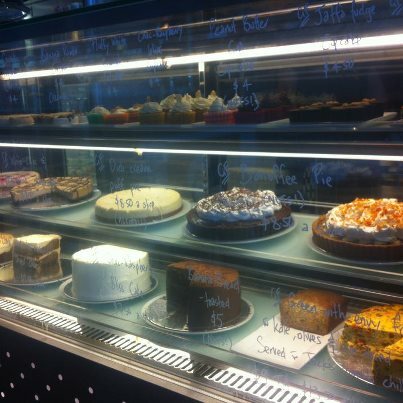 Rubyfruit Bakery and Café, Leura Mall  – A truly vegan café with a wide variety of vegan cakes and pastries. However, self-cook is still the best way to keep to a healthy diet plan. 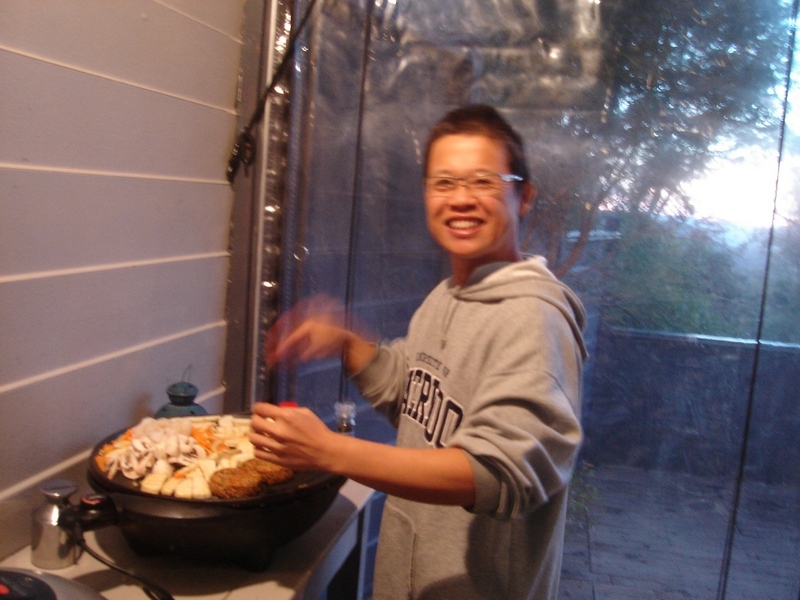 Most importantly, before travel, we made sure that the accommodation we booked was self-contained with a kitchen. Sweetpea Cottage had a small kitchenette equipped with a slow cooker; it was perfect for our cooking of vegetarian Bah Kut Teh (we brought the spices from home) and vegetable curry. We found fresh vegetables, whole grain bread, and a variety of vegan food such as lentil burger, falafel and tofu, readily available in supermarkets and health food stores. Therefore, self-cook during our trip wasn’t a problem and it was healthier and cheaper than eating out. Besides eating, sleeping and doing nothing at Sweetpea Cottage; we spent the rest of our five day leisurely exploring the majestic landscapes and natural beauty of the Blue Mountains. 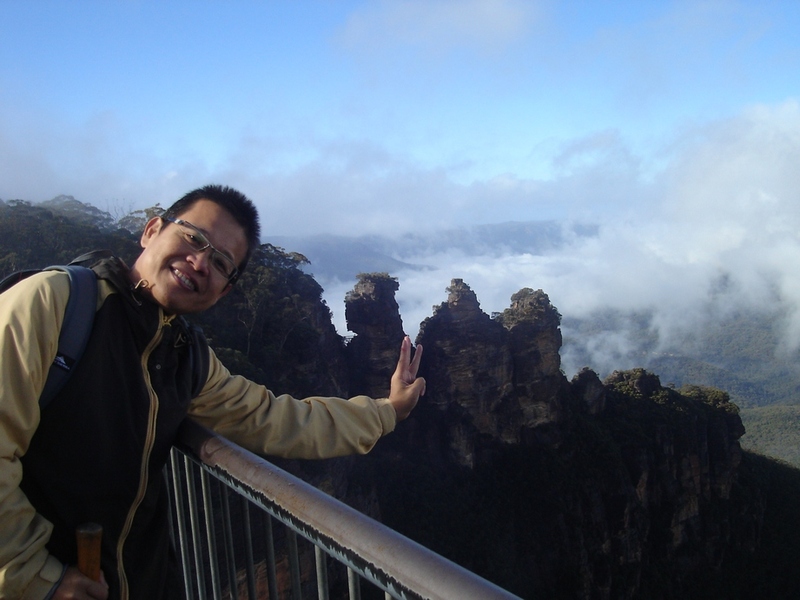 We did what most tourists did – we visited the Three Sisters and took the Railway and Skyway at Scenic World. While the picturesque view and landscape were astonishing, the busload of tourists crowding at these places spoilt the serenity. Nonetheless, we did find our peace at the bottom of the Scenic Railway, a boardwalk of 2.8kms extended into the ancient rainforest. 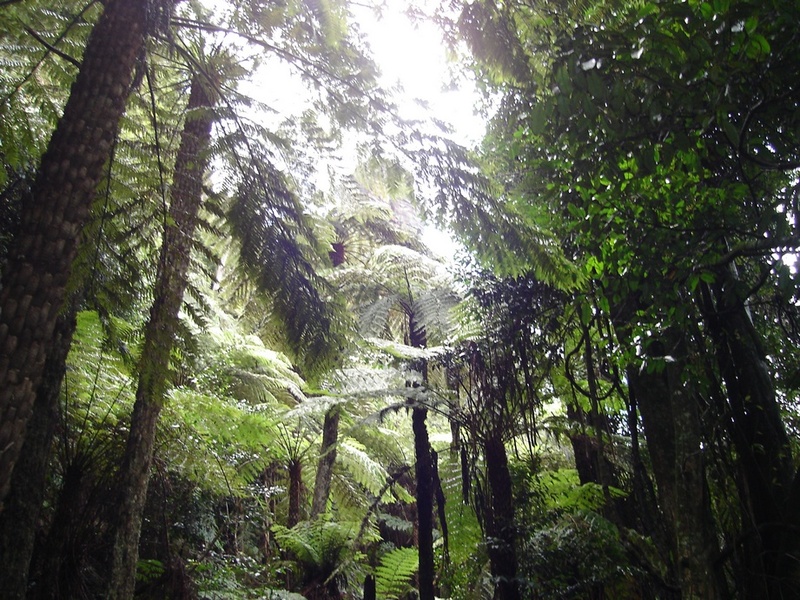 It was a nice place to enjoy the cool and quiet rainforest. 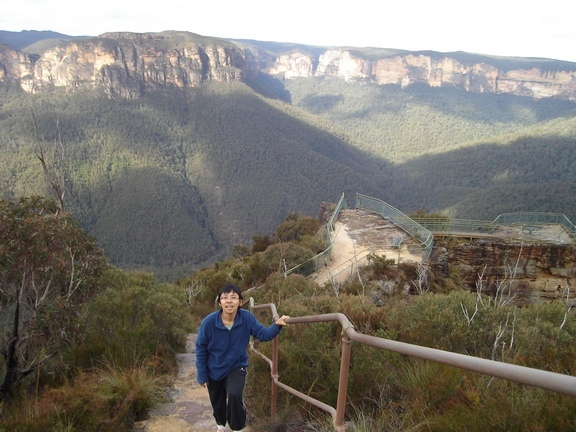 We also visited many lookouts and walking tracks that were off the beaten tracks around Katoomba, Blackheath and Mount Victoria. 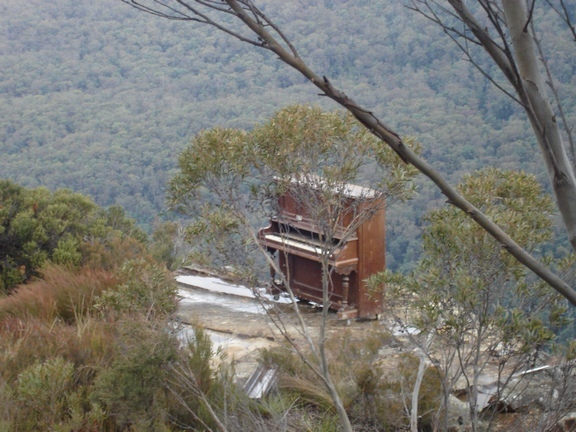 The most memorable place was the Pulpit Rock Lookout at Blackheath – The view from the lookout into the steep gorge and deep valley was simply unsurpassed! The best of all, we were alone there – a sense of solidarity between heaven and earth. At night, from Sweetpea Cottage we enjoyed the clear winter sky full with stars. The Southern Cross was unmistakably the constellation to spot from the Southern Hemisphere. We could also clearly see the Milky Way like a swatch of cloudiness across the clear sky. This could only be seen in the countryside, away from all the light pollution. Most importantly, a good night’s sleep in the nature away from all the city noise has the best therapeutic power on our body and mind. This was what we enjoyed during our four night stay at Sweetpea Cottage! It was a truly relaxing and memorable holidays for us!